The stripe tee is a must-have staple in everyone’s wardrobe. The Breton stripe tee is so chic, classic and elegant. Typically characterised as a cotton top with thin horizontal stripes, the style was introduced in 1858 as the uniform for the French navy in Brittany. The Breton originally had 21 stripes, one for each of Napoleon’s victories, and didn’t particularly possess any fashion cache until—after a trip to the French coast—Coco Chanel took notice. The iconic designer was so inspired by the sailors’ uniform that she incorporated the stripes into her 1917 nautical collection. The casual design helped break away from the heavily corseted fashion of the time, changing the face of casual womenswear. 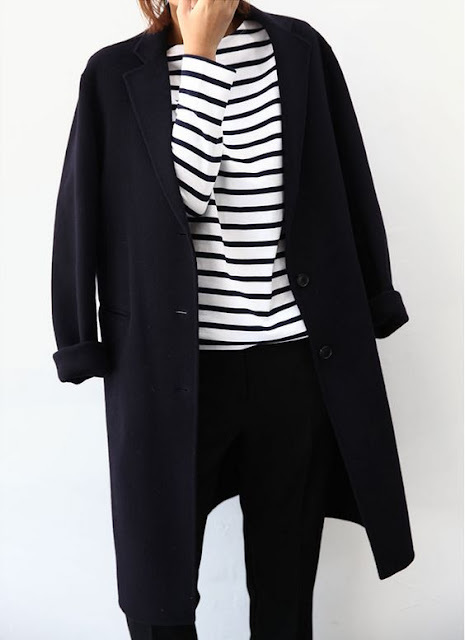 A navy/white or black/white stripe combo is the easiest to style. I have shirts in both colours, but find that I reach for the navy one more often. 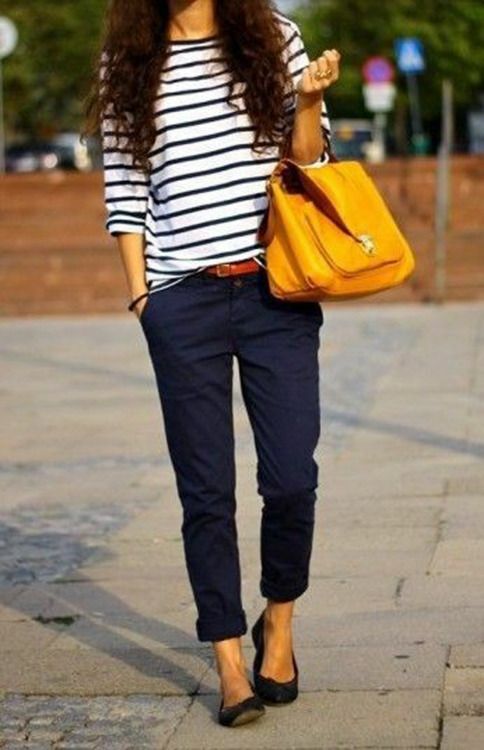 Navy/white has more of a preppy or nautical vibe, while black/white can go chic or edgy depending on how you style it. You've probably heard lots of warnings that horizontal stripes will make you look heavier. This can be mitigated by choosing the right stripe size. Very thin or very thick stripes do have a tendency to visually widen the body, but a medium stripe won't have that effect. 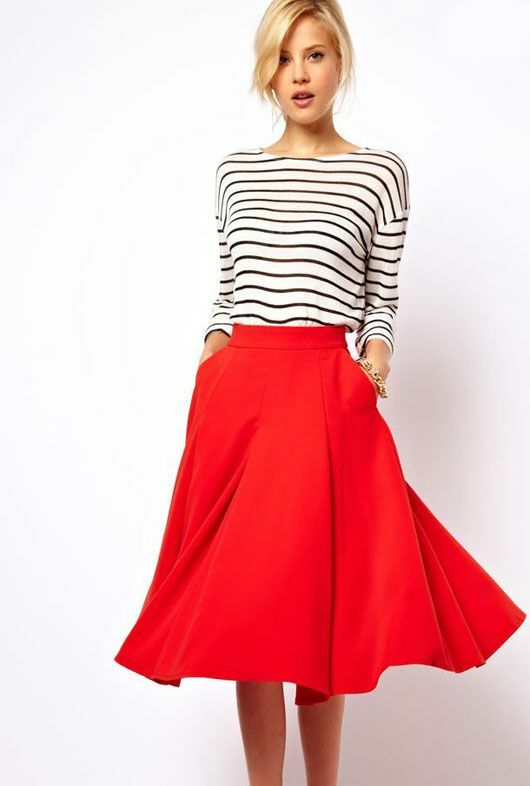 Tip: If you're petite, try out a thinner stripe. On the flip side, taller girls can get away with thicker stripes. Nowadays, you can rock stripes on your shirt, skirt, or shoes, but, steer clear of all three at once (unless you’re looking to make a serious fashion statement)! And of course, have fun with the trend. Need some more inspiration, then keep scrolling down for street style looks. 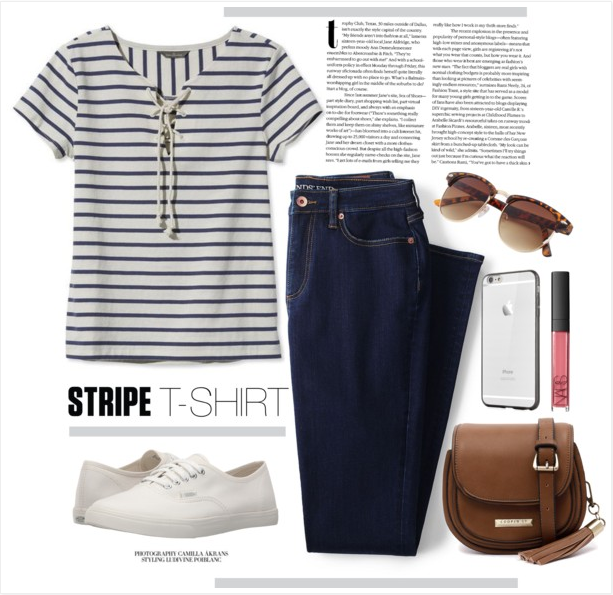 What’s YOUR favourite way to style a Breton Striped T-Shirt? 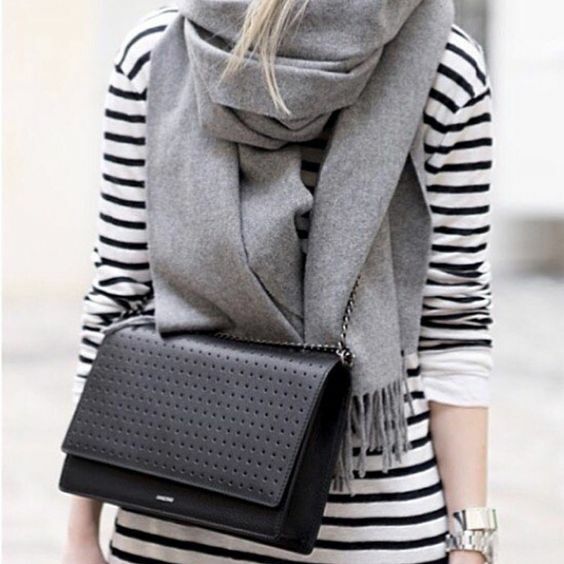 I’m always in the market for outfit inspiration so would love to hear any tips and tricks!